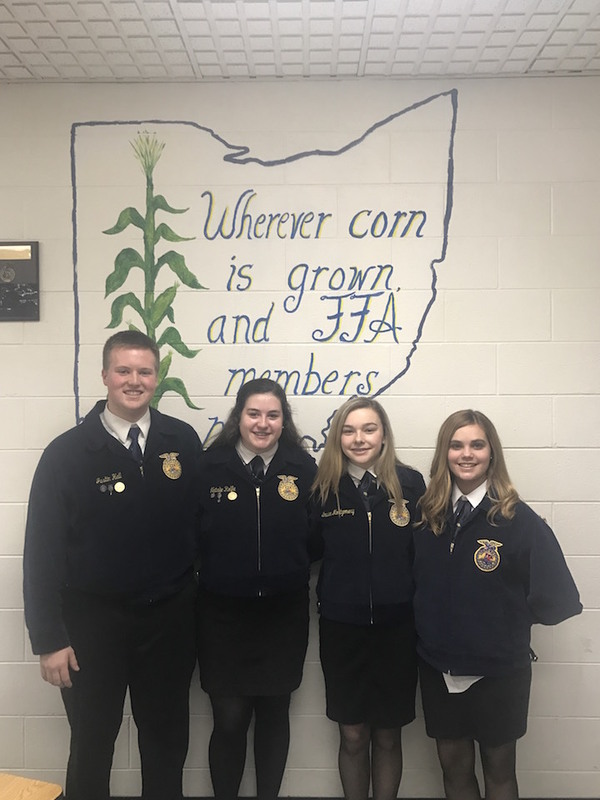 Four members of the McClain FFA chapter recently participated in the public speaking competition. Emalee Montgomery and Brooklyn Dean competed in the creed speaking competition, where they were required to recite the five-paragraph FFA creed and then answer questions. Natalie Rolfe competed in the advanced prepared division and was required to write and memorize a six-to-seven-minute speech and then answer questions. Justin Hall competed in the extemporaneous division. He was assigned a random topic upon arrival and had 30 minutes to prepare a four-to-six-minute speech. Dean, Rolfe and Hall will be moving on to the district level. Congratulations to all who competed. The McClain FFA would also like to thank James Morris and Megan Mustard for judging part of the contest. Your help is greatly appreciated.